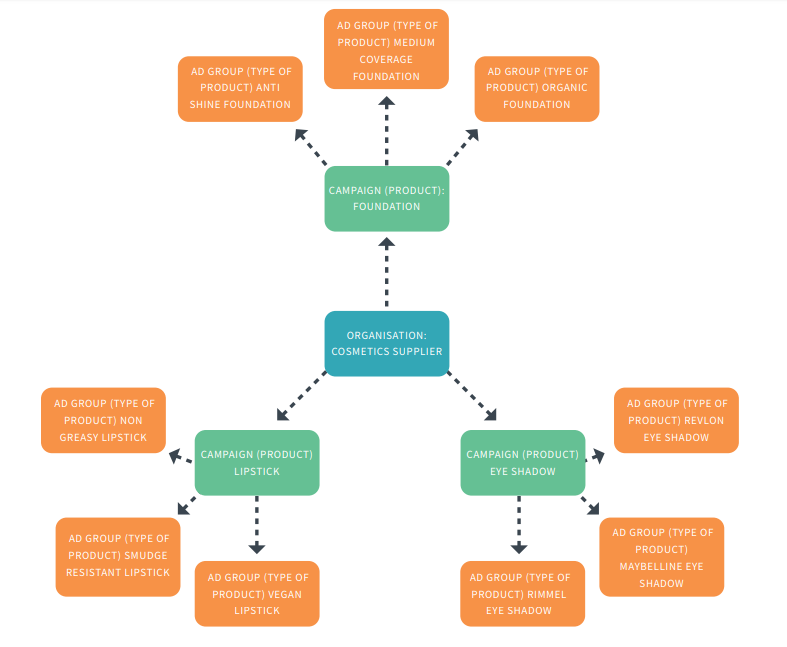 Campaigns should be structured around your business and campaign objectives. For example, own brand keywords should always be in their own campaign because they are expected to perform very well. Likewise, generic keywords would be in a separate campaign because they are expected to have a lower click through rate (CTR) and conversion rate. It may be the case that your search campaigns and ad groups need to be restructured, particularly if they are not split out enough and ad text is too generic and not keyword dense. Similarly, if the account is the structure is convoluted, this unnecessarily dilutes the data, making it more difficult to complete simple admin tasks and to spot trends which would allow you to focus on the most important and profitable terms. Ensure your ads appear for relevant searches and audiences to maximise conversion and save on wasted clicks. Improve your Quality Score, Google’s rating of the quality and relevance of both your keywords and PPC ads, which impacts your costs, ad position and eligibility for auctions. Keep your account organised and make it easier to see what’s working and what isn’t so that you can make tweaks to increase performance. The completely different search intents, eg, ‘cheap’ and ‘quality’ make it impossible to get a keyword dense ad that perfectly encapsulates the theme of both of these search terms. This can impact your Quality Score. Ensuring ad groups are well split out means that ads can be highly targeted to their keywords, which will increase your Quality Score. Ad groups set up such as these mean that neither the ad copy nor the landing page can be relevant for such disparate keywords. There is also a large difference in a searcher’s position in the purchase funnel between the first and last keywords in the above list. ‘Buy hp ink cartridges’ is quite specific and shows purchase intent, whereas ‘refilling hp ink cartridges’ is much more research focused. This is because as different call to actions work best for each. By segmenting these into their own campaign, we can accurately monitor search funnels, and whether these users go on to convert at a later time after revisiting the site. Importantly, the research campaign can be used to create an audience list, which can then be used to remarket to, and bring back the users to convert. 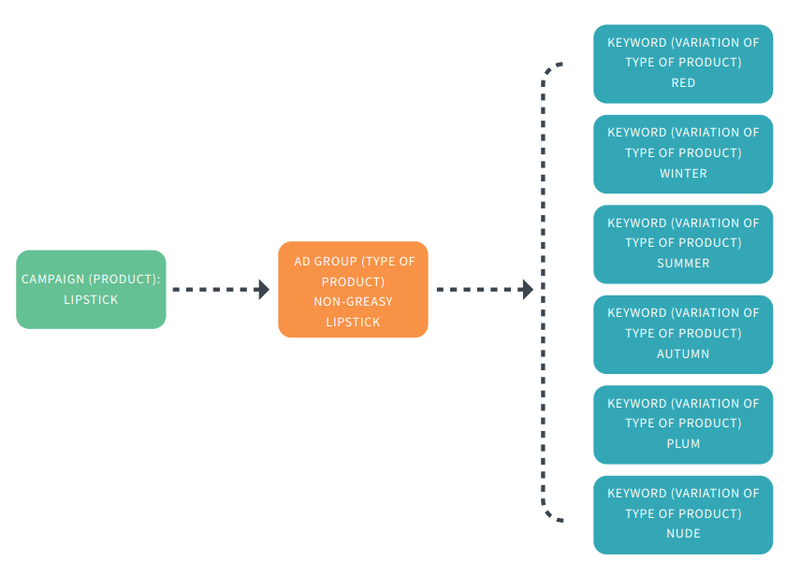 Keywords relating to different locations should be placed in their own ad group for each location, ideally in a purpose built location tailed campaign. People using locations in their search terms want to be reassured by the ad copy that the business has an office in their specified area. By not splitting these out, it is not possible to have location specific ad copy within the ad text, which would greatly increase click through rate for these terms. This can positively skew the perceived performance of these non-brand campaigns, which makes it difficult to see where optimisation should be focused and where to apportion budget at a top level. All brand keywords should be placed in their own dedicated brand campaign, so that their performance can be judged independently from non-brand search terms. All campaigns should be set to ‘All features’ and not simply ‘Standard’. This is an easily fixable error that should be rectified immediately to improve campaign efficiencies. Why? The standard setting with search campaigns does not allow you to apply bid modifiers such as segmented location targeting or ad scheduling. There is also no option to apply all ad extensions such as callout. This is greatly limiting the potential for your campaign to maximise profitability and click through rate. This should be something you consider if driving calls is an important KPI for your business as it provides a focus for generating calls for your business. As you are charged per click to call, and each call is treated as a conversion, it can be a very cost effective way of driving more conversions. Best practice is to create three keyword relevant ads per ad group to split-test with different calls to action, to determine work best. Fewer than this does not allow sufficient testing, and is an indication of little emphasis being placed on ad optimisation, which is crucial for keeping campaigns fresh, and increasing CTR. However, if the number of ads per ad group is too high, there will be too many variables to determine which is working best.